Business success in the US requires the ability to quickly establish a local presence by becoming familiar with new markets, understanding business practices and regulations, and identifying trusted and knowledgeable service and product suppliers. 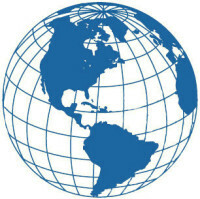 Parter International, Inc. advises and assists foreign corporations in successfully opening, operating, and expanding their business in the US through evaluating new business opportunities, conducting market research, identifying strategic partners, incorporating a US entity, providing various legal services, developing positive marketing and communications programs and more. Let us help you by filing out the preliminary questions. Parter International conducts market research for companies wishing to enter the US market. Our research includes information on market trends, competition, pricing, distribution channels, tariff and non-tariff barriers, product performance requirements, local government regulations, and taxes. Our team of legal specialists helps companies establish an office, purchase real estate, file taxes, open a bank account, and comply with all sorts of US regulations. Parter International’s US Start-up Package offers a unique opportunity to test the US market without substantial initial costs or long-term obligations, providing our clients with part-time office space and start-up services at our centrally located, prestigious midtown address. We combine an attractive, convenient physical presence with valuable business services and professional guidance to help you intelligently, efficiently, and effectively enter the US market. Parter International works to identify and match international investors with US strategic alliance, merger, or joint venture partners. Parter International assists international firms seeking to sell in the US and looking for products to license in their home country. We help these firms identify US buyers, sales representatives, agents, and distributors. We provide further assistance in marketing, accounting, and logistic activities in the US. We assist companies with conveying targeted messages to specific audiences such as customers, clients, employees, regulators, community groups, and the media. We carefully craft and implement strategies and programs in the areas of marketing, public relations, advertising, community affairs, government and employee relations. We assist expatriates with networking, finding appropriate schools, purchasing houses and autos, etc.